Barça Lassa suffered a cruel loss at Gran Canaria Arena (87-86) in their second game of the Euroleague. In spite of the great game of Kuric (24 points) and Tomic (18 points), two free throws by Hannah with 3.6 seconds to play sent Barça to defeat. Barça led or was tied with Gran Canaria for most of the first half, and was ahead 26-18 at the end of the first quarter, while the score was 44-44 heading into the intermission. The second half was more even handed throughout, with constant whistles keeping both teams from getting into any kind of rhythm. Nevertheless, Barça took a 5-point lead into the fourth quarter, 69-64. 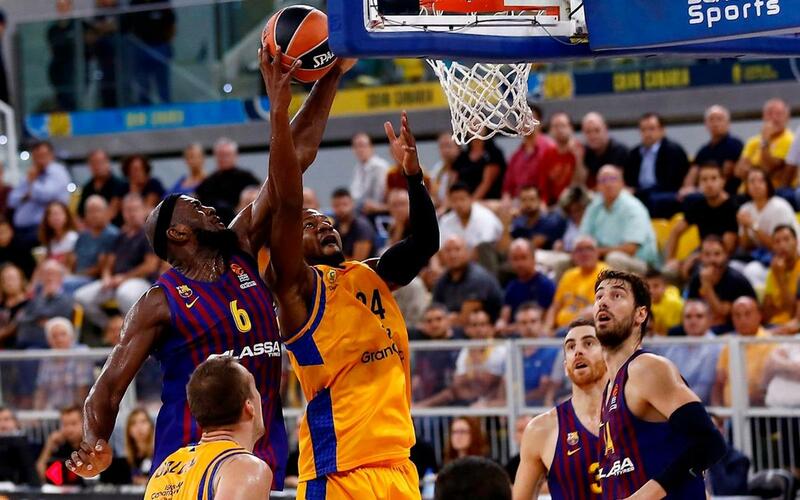 Barça extended its lead early in the fourth, to 75-68, and appeared poised to pull away, but Evans took it upon himself to lead a late Gran Canaria comeback that would give his team the lead at 85-84 with a minute to play. Barça then retook the lead, 86-85, following a technical foul on Tillie. But Clevin Hannah nailed two free throws with 3.6 second remaining to put Gran Canaria back on top for good. Pangos had a chance to win it at the buzzer but his three-point shot bounced off the rim. Barça’s next game is back home versus Bayern Munich on Thursday at 9.00pm CET.